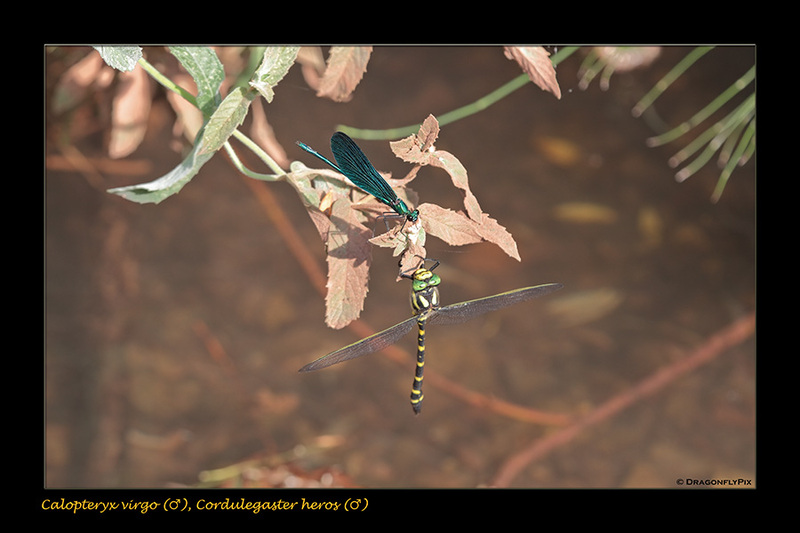 This photograph was made at that same site and again features a male Beautiful Demoiselle (Calopteryx virgo) and a Balkan Goldenring Cordulegaster heros). This time the two are almost touching, so it's probably safe to assume that the Demoiselle had assumed it was safe to sit down so close to the Goldenring. And indeed in our field notes from visits to this stream there is no mention of Goldenrings preying on Demoiselles, despite the many close interactions between the species.